What is art? What's it like to paint on an infinite canvas? Is art the only thing standing between us and the robot invasion? 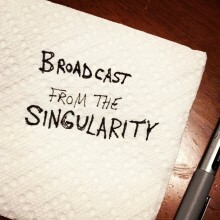 Micah Redding, Ryan Hogan, and John Yates in the first official podcast of Broadcast From The Singularity!